Trade execution is changing, and artificial intelligence is playing a big role in shaping its future, writes Maha Khan Phillips. One of the first examples of structured trading in Europe occurred in France nearly a millennium ago, when ‘Courretiers de change’ managed agricultural debts on behalf of banks. In the not too distant future, if some industry participants are to be believed, today’s trade execution technology will seem as outdated as those methods of trading do now. Already, the industry is on the cusp of enormous change. Automated trading algorithms first came into use in the US equity markets over 20 years ago. According to Greenwich Associates, 99% of buyside and sellside trading desks with higher institutional commission volume now use an electronic trading product for equities. With the explosion of data and new types of information reshaping their world, management consultancy Opimas expects spending on artificial intelligence (AI) related technologies to exceed $1.5bn in 2017, and to reach $2.8bn by 2021. Greenwich Associates points out that trading algorithms have come a long way from simple ‘time-slicing’ algos that would send orders to the exchanges at pre-set intervals. Now, algorithms use volume prediction analytics, market impact models, liquidity heat maps, and venue analytics. However, all these advancements will need to be combined with machine learning (ML) to really drive the industry forward. According to Khan, machine learning can be used to automate the intra-day calibration of trading algorithm parameters that would traditionally be set manually by humans. ML can also be used to automate the analysis of a client’s historical transactional record, generating insights on what to sell next. 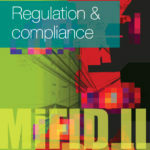 It can be used to train an algorithm on how best to optimise a portfolio, on top of standard mean variance portfolio optimisation techniques, and to enhance natural language processing of compliance feeds to automate breach detection. 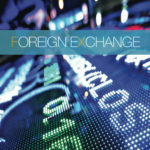 Fintech firms are offering different trading solutions for their clients. Portware, the multi-asset execution management system bought by FactSet in 2015, has traded a notional $168bn on its Alpha Pro platform, an AI enabled trading management solution. Alpha Pro uses predictive analytics to evaluate historical and real-time order flow, and helps traders implement the execution schedules that best capture price opportunities and short-term alpha. 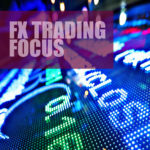 The firm claims every order that arrives on a trader’s blotter can be analysed, vetted, and paired with a recommended trading strategy and trade horizon, as well as a recommended algo type selection. “Alpha profiling provides a quantitative basis to do something that is the core function of a trading desk, to identify the optimal strategy for each order,” says Henri Waelbroeck, director of research for portfolio management and trading solutions at FactSet. One of the features on the platform is an alpha switching engine, which uses ML to decide which of the algorithms that traders have access to is likely to have the best performance for a particular order, under specific market conditions. One question is, are these new technologies adding alpha? Opimas says it is impossible to pin down how much alpha comes from the intelligent use of data sets, but provided an example of a hedge fund it worked with, which spent more than $50m annually on sourcing, analysing, and implementing alternative data strategies. “This implies that the fund managers believe they must generate at least 2% in alpha annually simply to cover the associated costs,” the firm points out. There are though other ways algos can provide value. 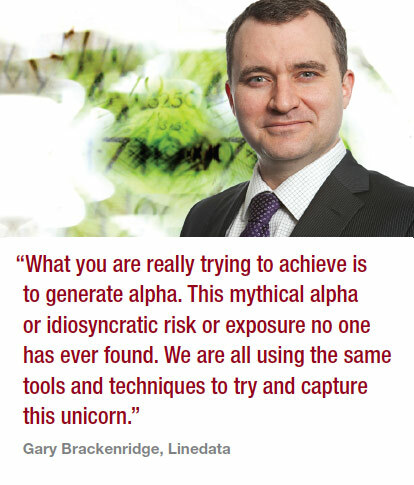 The buyside should use them to decide how their providers have performed as counterparties, suggests Gary Brackenridge, global head of asset management at Linedata. They should also use it to reduce cost and reduce the inefficiencies after a trade. “What you are really trying to achieve is to generate alpha. This mythical alpha or idiosyncratic risk or exposure no one has ever found. We are all using the same tools and techniques to try and capture this unicorn. Big data, machine learning, and artificial intelligence give us more tools, but they don’t give us more unicorns to find. I liken this trend to the early days of low latency trading. There was an incredible arms race,” he argues. 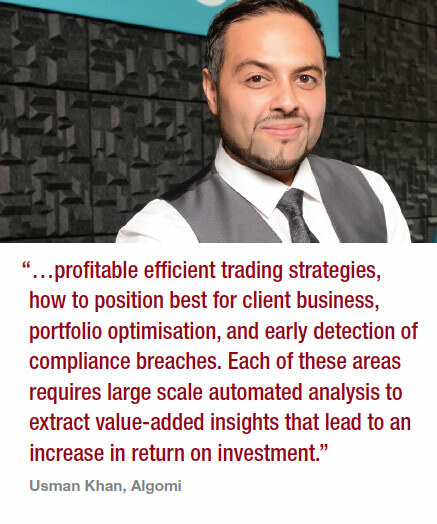 Charles Ellis, a trader and quant strategist at Mediolanum Asset Management, believes that the industry needs a balance between quantitative data, fundamental processes and human understanding. “We actively look at how machine learning can be embedded into our investment process,” he says. There is also a risk component. 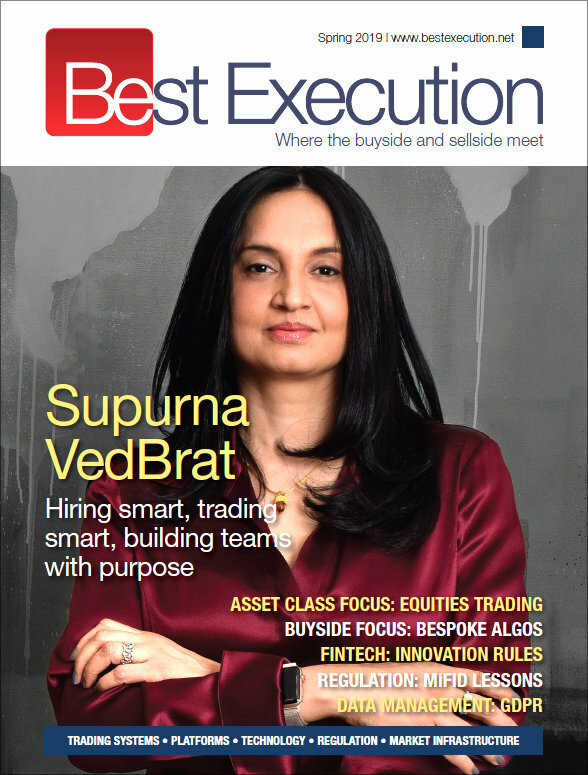 Bhavna Khurana, vice president of client solutions financial services at The Smart Cube, believes that traders should spend more time using AI to look at risk. 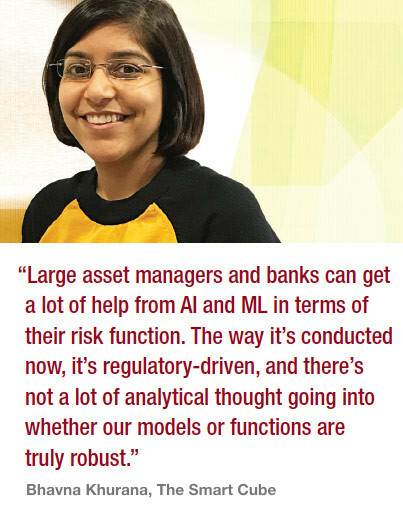 “Large asset managers and banks can get a lot of help from AI and ML in terms of their risk function. 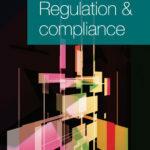 The way it’s conducted now, it’s regulatory-driven, and there’s not a lot of analytical thought going into whether our models or functions are truly robust,” she says. However AI is used, industry pundits agree that the future will look very different. Predictive algorithms actually mean correlations could occur faster than the speed of light, points out Michael Cooper, chief technology officer at Radianz. He cites a paper, Information Transmission Between Financial Markets in Chicago and New York, which suggests that predictive algorithms could statistically anticipate Chicago futures price changes before the information can even reach the equity market engines. It may sound like science fiction, but Cooper argues that the industry will have to learn to acquire, curate, and maintain its data even as evolution continues to bring new opportunities and challenges. “You are into a world of almost constant change,” he says.